The visibility of problem-oriented and educational startups usually casts a shadow on socially-oriented startups and apps because the latter do not solve an immediate problem in society. This does not, however, mean that these socially-oriented startups are not relevant. 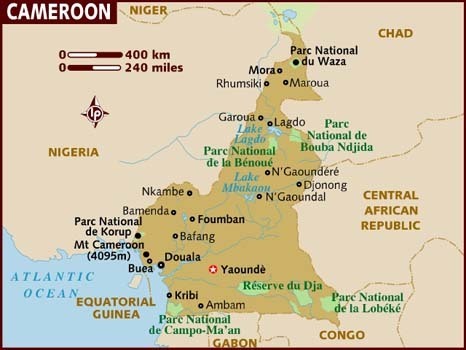 In fact, the popularity of four socially-oriented startups, based in Yaoundé, Douala and Buea, show that these are in as much demand in Cameroon as problem-oriented startups, whether they focus on gaming or recipes. For almost eleven years, Madiba Olivier and his team have been working on Aurion, an action role playing fantasy game inspired by African mythology and legend which will be compatible with PC and Xbox 360. It relates the predicament of Enzo Kori-Odan, a prince who is overthrown and exiled on his wedding day, forcing him to go round the world in a quest for support to regain his throne. This 2D action game which consists of an exploration as well as a combat phase will be available around the third quarter of 2015 and will be made available in English and French. 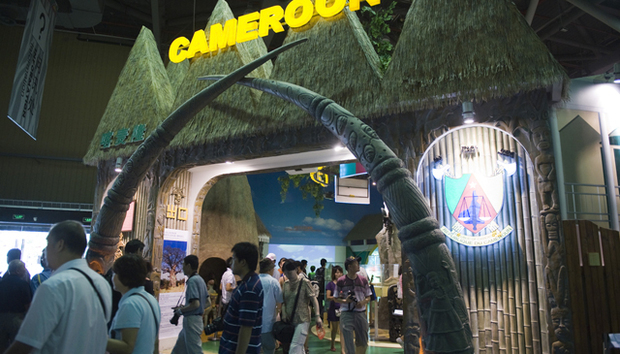 Olivier says the desire to create a game came about one day after he’d finished playing Final Fantasy 7 for the umpteenth time and lead to the creation of Kiro’o Games studio in Yaoundé in December 2013. Although the game’s concept was in the pipeline since 2003, it was only launched in 2013 and has already raised $115,000 in funding. Kiro’o Games is a subset of the Madia group, the mother company, which has been existing for seven years and encompasses an association and a company that offers computer solutions of international standards (mostly web) to individuals and companies. Founded in 2011, Adelrick is a startup owned by Patrick Mveng and combines AI and GSM technologies to create MuZik, a service which makes mobile phone subscribers’ life easier by providing the right music or information (grabbed from the internet) via SMS, automatically within a few seconds after the user has sent an SMS query in English or French. Prior to MuZik, Mveng had created VIKI, a Siri-like virtual assistant which mimics human intelligence. MuZik makes money through prepaid price plans via its Discover platform, which gives unlimited free music with audio ads and a Premium platform which gives unlimited ad-free music for each monthly subscription. In an industry overpopulated with music apps and websites, MuZik’s forte lies in the fact that it has no app to be installed and it is compatible with feature phones. Djoss.tv is a social TV platform that lets TV viewers everywhere interact around their favourite TV shows in real-time. It enables comments and exchanges over TV programs on certain channels and connects people with the shows that they care about. The programs which get the most comments thus far are soccer games and debates on Cameroonian channels such as Canal 2 and Equinox TV. “Djoss” is a slang term which is often used to describe chatter or small talk in Cameroon. Djoss.tv is the brainchild of Patrick Eloge, Herve Djia and Kouotou Aboubakar Sidiki, who are mostly Douala-based. Patrick, who is a fan of Manchester United, says he had the idea to build the site because he didn’t like watching soccer alone. The site was built in two weeks and launched in October 2011 during the presidential elections. Prior to creating Djoss.tv, Herve built NoBackChich, an Android application aiming to provide people with administrative procedures and let them report bribes, while Patrick is as well involved in an online real estate platform called Koutchoumi.com. In 2012, it was selected among the 40 African startups to participate in DEMO Africa in Nairobi, and won the first prize at the Cameroon Startup Challenge, which provided a decent cash grant. Like many startups in Cameroon, it was incubated by ActivSpaces (formerly Limbe Labs) a tech incubator which has been around for about three years, using technology to solve the country’s problems and providing business accelerator programs on business development. KamerRecipe is an Android app which enables people to browse through a catalogue of recipes which are made up of detailed instructions and tutorial videos to accompany the user. The app is as well interactive, enabling users to share content on social media, comment on menu items, edit or add their own recipe and finally, it has a “read aloud option,” which facilitates cooking in a hands free mode. The team behind the KamerRecipe app are twin sisters, Ngong Ivoline-Clarisse and Ngong Ivan-Clare. They are third year students at the University of Buea’s Faculty of Engineering and Technology (FET). Ivan studies Electrical and Electronics Engineering, specifically telecommunications, while Ivoline studies Software Engineering. They started programming one and a half years ago with Churchill Nanje Mambe, founder and CEO of Njorku, as mentor. The recipe app is the first Android app that has been released to the public, but not the first app the Ngong sisiters, who are currently interns at Njorku, have created. Despite being dominated by problem-solving apps, the Cameroonian start-up ecosystem cannot ignore socially-oriented ventures, which, though may not exist in order to solve a major problem, nevertheless contribute to the economy and well-being of the user. « Looking beyond Big Data: Are we approaching the death of hypocrisy?